Every 6 months brings a new flagship from Sony, and this time around they're changing up the name on us just a bit. While the established Xperia name stays the same, it's the letter moniker after it that's being shaken up. Xperia Z is now a thing of the past, dying alongside the Xperia Z5 recently launched in October of 2015, and is now curiously being replaced by Xperia X. It's uncommon for an OEM to go backwards in numbers or letters, but it's not unprecedented by any means. Does this mean the Xperia X is a step backward from the Xperia Z5, or is Sony just looking to start things fresh in 2016 with something new? Let's take a look! We've got the US version of the phone, which in some cases is pretty different than the international version. It's not often that Sony releases an unlocked US version of one of their phones, but here we have one in the flesh. If you're familiar with Sony Xperia phones the design here will feel incredibly familiar, although Sony has made some modifications to the design in the last year with the Xperia Z5. On the front you'll find a 5-inch 1080p Triluminos IPS LCD display and a pair of stereo speakers. Also on the front resides a 13-megapixel camera with 1/3" sensor and a 22mm f/2.0 lens. Around back sits a familiar 23-megapixel camera with 1/2.3" sensor and a 24mm f/2.0 lens in addition to a single-LED flash. Taking a look inside that sealed body, which is no longer waterproof, reveals a Snapdragon 650 hexacore CPU, which is made up of a 1.8GHz Cortex-A72 dual-core processor and a 1.4GHz Cortex-A53 quad-core processor. 3GB of RAM is seated alongside the Adreno 510 GPU, and either 32GB or 64GB of internal storage is included as well with the option for expandable storage via micro SD card slot. A 2,620mAh battery is tucked away within the sleek frame, which measures 142.7mm high by 69.4mm wide by 7.7mm thin, and weighs a well-balanced 153 grams. Sony's ever-so-light skin sits atop Android 6.0.1 Marshmallow. Bluetooth 4.2 support is here as well as A2DP and aptX support, and high-speed WiFi users will be pleased to know that dual-band 2.4GHz and 5GHZ support is here with 802.11 support up to AC. There's an FM radio found inside and the 3.5mm headset jack up top supports up to 24-bit/192KHz audio. Lastly we see that the US version of the Xperia X once again lacks the fingerprint sensor of the international version, a bizarre "business decision" made by Sony since the Xperia Z5 hit the US earlier this year. The phone ships in white, lime gold, rose gold and the graphite black review unit we're using for a price of $549.99 on June 26th. AIDA64 is reporting that the board is an MSM8952, which is actually a Snapdragon 617, however all the rest of the specs match up with a Snapdragon 650. We've seen reporting anomalies like this before, wrong model numbers, wrong boards, etc. and it's likely due to a firmware or other software reporting issue that's not registering correctly with the system. Check out all the AIDA64 info below to see the specs in detail. Contents of the retail box are fairly slim compared to some other phones in this price range. Aside from the obvious phone you'll find a set of manuals, USB-A to microUSB cable, and a wall charger. Oddly enough this wall charger is only 5v/1.5a, which is considerably lower wattage than we're used to on modern smartphones. Most phones these days ship with at least a 5v/2a charger, and the latest models bump that up to 5v/3a or higher too for quicker charging. Sony's Triluminos IPS LCD panels have been a staple of the Xperia Z series for years now, and that's been carried over even with the name change of the Xperia X. Sony produces some of the better LCD panels on the market, and the 5-inch display on the Xperia X is no exception there. Initial impressions with the display will likely leave you audibly saying wow. In true IPS LCD form this thing is super bright, and the default auto brightness is quite aggressive in bringing that brightness up as high as possible in any given situation. This is one of the easiest displays to see in direct sunlight in recent memory without a doubt. By default the image itself is quite good, although colors are ever so slightly washed out and a little too vibrant. Jumping into the image enhancement settings allows you to change to the X-Reality mode, which bumps up the contrast considerably and mutes those colors to a much more realistic level. If you like the extra vibrant colors and still want that high contrast, you can also set it to Super-vivid mode, which makes it behave more like an AMOLED panel with regards to color saturation and contrast. Black levels are pretty incredible, especially for an LCD, although these of course are no match for an AMOLED panel's infinite blacks. You'll find that a black screen is always going to be dark grey, but of course as you drop the brightness down the relative black levels become better. Refresh rate comes up a little short, as there is some visible trailing and ghosting when dragging things across the screen, especially images that have higher contrast points in them (such as white text on a black background). Viewing angles are superb and only exhibit dimming, no color shifting of any noticeable kind, a true selling point for IPS LCDs. White balance is incredibly accurate too, and I found that this was one seriously attractive display if for no other reason than the sheer accuracy of the whites and colors. What wasn't great, however, was the digitizer. This is not only disappointing in any phone, but especially in a Sony phone, and a problem I've never seen before in any of Sony's flagships. The Xperia X is not the high end mid-2016 Xperia device, that's the Xperia X Performance, but it's still over $500 at retail and one would expect a first-class touch experience from the phone. What I found was that it often missed my touches, especially when typing fast, and I found myself constantly having to correct my spelling. This carried over into other touch experiences as well, where I often found that it just wouldn't register my touches all the time. I tried enabling the Glove Mode, which is a rather wonderful feature when it's available, but the extra sensitivity that brings to the table didn't seem to help oddly enough. This could just be a firmware issue, and as of the writing of this review, we're a month out from the US launch, but seeing as the phone is already available internationally it's pretty terrible to see this happen to say the least. Sony's Omnibalance design has evolved over the years but not too much to the extreme. Much like you would still recognize what a Samsung or HTC phone looks like, Sony's designs are immediately recognizable even with the changes made in the past year or so. At first this looks visually identical to the Xperia Z5, which was announced in the Fall of 2015, but closer inspection will show modifications to the trim around the sides. This creates a smoother, more uniform device than the Xperia Z5, and overall feels absolutely excellent in the hand. Sony has thankfully moved away from the glass backs, which are pretty but are fingerprint magnets and make the phone overly slippery, to a powdery metal back instead. Sony says this is a fully metal back but it feels exactly like plastic, and looks like plastic too. It's basically the same case as with the LG G5 and its plastic-like coating, but this feels cheaper than that in every way. The frame around the edges feels much more solid though, and while it still contains that same plastic-like finish of the back, it feels a lot more solid like a metal frame is expected to feel. The sides are nice and smooth, and even the corners and edges have been smoothed out to make this feel great in the hand. On the left side sits a tray which holds the microSD card and nano SIM card. It's rather nice having a tray that's easily ejectable by hand, but pulling it out will immediately restart the phone, which is a bit of a nuisance. On the right side sits a dedicated two-step camera shutter button, which is situated nearly at the bottom of the phone, with the volume rocker just above it. I absolutely love this volume rocker position and found that I hit it accidentally less often than one that's situated higher, and it was much easier to adjust when on a phone call too. Situated dead in the middle of the right side is the recessed and elongated power button, which is identical to the one on the Xperia Z5. The US model of the Xperia X does not feature a fingerprint scanner in here though, something that's beyond questionable at this point in the smartphone market, especially at this price range. Sony has curiously not moved to USB Type-C with the Xperia X, and features a centered microUSB port at the bottom, while the top holds the 3.5mm headset jack situated on the left-most corner. Moving around to the front you'll find a 2.5D glass that's curved at the edges to be congruent with the sides of the phone. That beautiful glass face has stereo speakers on it too, one placed at the top and one at the bottom for superb sound. What's also well worth noting is that this is the first 2016 flagship I haven't scuffed the glass on. I've been less than impressed with Gorilla Glass 4 at this point in time, and the scratch resistant glass that Sony is using here seems to be much better made than other 2016 flagships in my experience. Looking at the spec sheet you might think you'll be disappointed in the performance of the Xperia X, especially for the price. At this price range you'll find plenty of other devices, like the LG G5, pushing a much beefier Snapdragon 820 processor and Adreno 530 GPU. What you'll find in real world and even gaming performance, however, is little discernible difference between the Snapdragon 650 CPU inside the Xperia X, and any Snapdragon 820 powered device. In fact if someone just handed you the phone and asked you what you thought the specs were, it's more than likely you'd think this is the latest and greatest in powerhouse mobile processors. There's a number of different reasons for this, but one of the biggest is that the Snapdragon 650 is made up of cutting edge Cortex-A72 cores on the powerful dual-core side. It's also got the Adreno 510 GPU inside, a next-generation GPU that's quite a bit more powerful than the Adreno 405 found in the previous chipset, the Snapdragon 617. This chipset was actually announced originally as the Snapdragon 618 and later renamed to 650. What this phone also has is phenomenal multi-tasking performance. At 1080p you'll find that 3GB of RAM is more than enough to keep nearly everything you've ever wanted to run in memory without having to reload when switching back and forth between apps. Utilizing Android's software buttons also means that a dedicated multi-tasking button just to the right of the home button, also known as the Overview button, causes app switching to be a single click away. The interface is also phenomenal, as again it's the standard Android interface, and is about as good an experience we can think of on any mobile device. Virtual Reality is a big deal, and a huge importance not just to smartphones, but the technology and gaming industries as a whole. We've seen some incredible support behind VR since the Google Cardboard initiative started a few years ago, and now this year at Google I/O 2016 we saw an official platform being developed by Google and many OEMs out there. As such we're marking the Xperia X as the first smartphone to begin to be judged by its VR performance and overall quality, as it's going to become an increasingly important selling point from here on. Starting with the display we've seen that AMOLED panels are usually favorable for VR experiences, as they allow for better contrast and lower persistence than most mobile LCD displays can. Even though the Xperia X features an IPS LCD display though, and I found the refresh rate to be less than stellar in certain use cases, I didn't notice any problems with ghosting or pixel persistence while in VR. There's some extra motion blur over using a Galaxy S7 Edge, for instance, but nothing as bad as an HTC 10 or some other displays with worse pixel persistence problems. In addition to having an acceptably fast frame rate, the pixel structure and pixel density of the Xperia X's display provides an excellent experience for crisp and clean VR. For these tests I'm using an official Google Cardboard headset, which is as entry level an official headset can be, and in general the lenses aren't the greatest things in the world on these. Couple this with the fact that mobile VR doesn't normally have a high enough frame rate to ward off motion sickness and you'll find that you're not going to be gaming for long periods of time until some more rigorous standards are kept up. Right now though the Xperia X kept up with every VR game I tried, and had no trouble displaying equal frame rates to more powerful phones like the HTC 10 or Galaxy S7 Edge. This is what you're looking for if you want good mobile VR right now, and keeps up with the very best of them in nearly every single way. Despite real-world performance feeling the same, benchmarks show the Xperia X sitting around flagship levels from last fall. That means that folks moving from an Xperia Z5, if you have such a reason to do so, should see no discernible difference in any way, shape or form on the Xperia X. There are two main models of the Sony Xperia X, the F5122, which is the International model with the fingerprint scanner, and the F5121, which is the US model that we have. What's surprising about both of these models is that the same spectrum is shared between both of them, so as far as signal compatibility between the US and other countries around the world goes, it shouldn't matter which model you're using. Check below for the full listing of all supported bands. As far as call quality and signal strength is concerned, Sony has designed the Xperia X quite differently from many other metal build phones out there. Instead of having a metal body with rubber trim or plastic pieces to house the antenna, there are no obvious spots that point out exactly where the antennas are stored. This creates a more uniform and quite frankly beautiful device that doesn't skimp on signal strength or quality. The speakers on the Xperia X are also superb to say the least, and offer plenty of volume and clarity no matter if you're using the earpiece or stereo front-facing speakers. Sony has long claimed 2-day battery life on its Xperia branded phones, and the Xperia X continues that claim. Whether or not a 2,620mAh battery actually lives up to that sort of hype is going to entirely depend on your usage of the phone. Light to moderate usage in normal conditions with the battery saver turned on at the default 15% actually did net me a full 2 days, with music streaming and video watching during this time frame as I usually would do. This was certainly surprising and rather refreshing to see, as 2,620mAh is a smaller battery than any 2016 flagship thus far, and it's great to see Sony working on such efficiencies on the back-end. Those who don't want to turn the battery saver on though may find themselves struggling to get through a full day, especially if you're someone who uses their phone more heavily. Battery saver mode is a huge deal on Xperia devices though, and leaving that battery saving mode on all the time could net some serious extended use without taking too much of the experience away. You're going to get reduced frame rate on animations and likely a few less pretty parts of the UI, but it's something that's certainly easy to get over if you want to regularly get that claimed 2-day battery life or longer. On heavy use days I was able to get a little over 5 hours screen on time with auto brightness on, but I had to charge it before the day ended to get me through the rest without cutting my usage time. A downside to the battery is complete lack of any quick charging support. This means it's going to take a good 2 hours or more to charge the battery from empty to full, and unlike nearly every other flagship on the market released in the last year or two there's no way to get a quick 50-80% battery in half an hour, just plain old slow and steady 5v/1.5a charging max. As a company, Sony has pushed sound quality for many decades now, so it should be no surprise to see them offering up high-res audio out of the box on the Xperia X. This makes it one of the least expensive high-res audio capable devices on the market, and reason alone to grab this phone if you're an audiophile. There's even full support for LPCM, FLAC, ALAC and DSD high-res audio, as well as Digital Noise Cancellation (DNC) headphones. aptX support is here for high quality Bluetooth audio (~330kbps), but if you want the full Monty you'll need to be using a speaker with LDAC support for ultra high quality wireless transmission at 990kbps. On top of all the different supported codecs and high quality wireless transfer methods is a slew of features and processing designed to enhance boring old vanilla audio recordings. Diving into the sound settings in the phone will show DSEE HX as the first option, a method that Sony has devised to help fill in the missing gaps that audio compression has taken out of your audio and bring it closer to a high-resolution audio file. This will never fully replace what isn't there, but it does an unbelievable job of enhancing the sound from your regular collection of standard resolution audio. I found using even non-high-res audio headphones and audio systems still gave me a significantly improved audio quality, including clearer and more substantial bass as well as more pronounced and separated mids and highs. Audio quality coming from the phone is simply astounding, and absolutely bests everything in its class, which says a lot given the incredible leap in audio quality we've seen from flagships like the Samsung Galaxy S7/Edge and HTC 10 this year. If DSEE HX alone wasn't enough of an improvement for most audio, you may want to check out the other options available on the Xperia X as well. While none of these other settings can be used in conjunction with DSEE HX, you may find for certain types of music or on certain headphones or sound systems that the other options work better. ClearAudio+ is a generic sound enhancement that tries to clean up the audio a bit, and generally I found this was a nice setting to have enabled, especially for music with more electronica-type sounds. Dynamic normalizer is another setting that I left on when DSEE HX was off, as it helps bring those sound levels closer together, but removing dynamic range is obviously not something you're always going to want to do depending on your sound system or headphones. Under sound effects you'll find a full equalizer that actually works properly, no weird sound level adjustments as you move the sliders, and even options in here for virtual surround sound too. Even those speakers on the front of the phone provide some serious wow factor, and make music enjoyable even though they're just on the chassis of the phone. This concept isn't anything new, as HTC has brought us quality speakers on a phone for years now, and Sony started doing it a few generations ago as well, but it's still fantastic to see a company providing such good speakers when plenty of companies don't seem to prioritize them. By default the sound is very centralized and almost sounds like it's coming straight from the middle of the screen. These speakers don't seem to have quite as good of a range as the Nexus 6P or HTC 10 offer, particularly when it comes to both ends of the spectrum, but the S-Force Front Surround setting makes a massive difference in quality. First off it tricks your ears into thinking the speakers are somewhere off to the right and left of the phone rather than on the body itself, plus it seems to magically extend the range of audio to bring it in line with some of the best I've ever heard. These speakers are also crazy loud too, louder than the Nexus 6P and almost as clear at max volume as they are at about 85%. For years Sony's Android skin has been one of the lightest and least offensive of any OEM skin, replacing only a few icons or other smaller nuances here and there with Sony's own style. This time around they've pared it back even further, removing most of these small customizations and providing one of the most stock Android experiences out there. All this coupled with the extra features that Sony offers and you're looking at one of the cleanest software experiences on the market, hands down. Sony has also included plenty of great tutorials and getting started features to help users better take advantage of the ecosystem they've built here, something that other OEMs do but not quite this well. These features appear as needed too and will help users get the most out of regularly used apps, especially when all the features of an app or section of the phone isn't being used often. There's a number of included Sony apps that are designed to maximize your experience in Sony's ecosystem, although these can certainly be considered bloatware if you don't want to invest in Sony's stuff. If you're a Playstation user you'll find that Sony has added plenty of hooks that allow you to better interface with your PS4, specifically with the remote play feature. The Lifelog app is back and just as good as ever, tracking everything you do during the day including steps moved, pictures taken and apps used so that you know when and what you've been doing throughout the day. Sony's default launcher has a few new features too, namely the app search feature when you pull down anywhere on the home screen to quickly find apps instead of looking through the app drawer for them. There's plenty of gestures and little nuance features that are nice if you use them too. Xperia Answering Machine gives you an offline voicemail type feature that records audio straight to your device, and there's gestures for picking up the phone when it rings to answer it, shaking it to decline the call, etc. Sony has a built-in backup and restore feature that helps back up most of your settings to the cloud, and of course the Xperia Lounge where you can find all sorts of Sony related info and news. Last but not least are the additional gestures for quick access to functions, like holding down the camera shutter button or double tapping the power button to launch the camera, and double tapping the screen to turn it on. This last feature is only useful if you've got lock screen security enabled though, as there's no pocket detection, so if you're like me and keep the screen against your leg when the phone is in your pocket you're going to have problems with unlocking the phone on accident and clicking all sorts of hazardous things. Sony's UI is straight up gorgeous this time around, and features not only a brand new icon set and more stock Android looks, but plenty of themes as well. The Xperia theme engine that's been going strong for years is still here, and will theme hundreds of elements throughout the UI to give your phone a more cohesive and unique look from other Xperia users. There's plenty of free and paid themes, and they change everything from the icons, lock screen, wallpaper, ring tones and more. The notification shade is only a slightly modified version of the stock Android one, and features more customizable quick toggles than stock Android provides. Settings is slightly tweaked to show more colorful icons for easily identifying sections rather than just relying on words, and other apps like the dialer have been completely reconfigured from stock to provide all the info you need on the main screen without having to navigate through the app to find stuff. The lockscreen is extremely similar to the stock one too, and can be unlocked either by swiping to the left or swiping up, with quick access to Google Now or the camera via the buttons on the bottom left or right of the screen. Sony's camera software has long been a point of contention for users, as it provides plenty of options and useful tools, but hasn't always had the best design in the world. This time around Sony has redesigned the experience to bring you the things you need faster and easier than ever. This time around this app is a truly fantastic experience, with very few troubles at all. The only questionable part of the redesign is that Sony has moved the dedicated video recording button out of the picture and has segregated it to its own mode. This means that taking videos is no longer a single instant button press away, rather you'll need to swipe over from the Superior Auto mode over to Video mode to take a video. This is a rather silly change and adds extra time and thought to just taking a video, but at least mode switching is incredibly fast. In fact if nothing this is the fastest mode switching I've seen on any camera software like it, moving between each mode in a fraction of a second. There's a total of four modes found on the sliding section; from the bottom to the top you've got manual mode, Superior Auto, video and camera apps. By default the camera always starts in Superior Auto, with manual being a single up swipe away, and video being a single down swipe away. If you want something fancier than this two quick swipes down will bring you to camera apps. Superior auto is the "simple and quick" mode that Sony has been using for years and features zero additional choices when taking a shot. If you want to make any adjustments at all, whether it be something as simple as toggling HDR or changing the exposure, you'll need to flip down to manual mode to make these adjustments. While I really didn't like this design at first, it made sense after using the phone for a while. Most users will likely just want to take a quick shot and not worry about other stuff in the way, and for those users this should get exactly what they want. Users who want more control of any kind will find the manual mode to be a one stop shop for most things, but don't expect the same kind of granular manual mode that Samsung, LG or HTC offer here. You'll only be able to adjust metering, exposure, white balance and ISO. There's no shutter speed adjustments, no manual focus and no way to force extra high ISO either. There's too many options hidden in menus for my liking too, and not many quick access buttons or controls in the manual mode. I understand this decision for Superior Auto, but for manual mode there should be quicker access to the usual suite of manual adjustments rather than having to constantly go back to settings, scroll down and find the option you want, which may or may not be nested in an additional menu too. Sony did give plenty of options for additional camera apps though, which aren't actually add-ons to the standard camera app, rather apps of their own. This means you cannot access them when the phone is locked, a step that likely will annoy users out there, but it decouples these extra experiences from having to be updated through the main app. It also allows plenty of apps to be added by anyone willing to develop for Xperia phones, something that's not new at all to the Xperia series but definitely a welcome option that's been enhanced over the years. These apps are phenomenal too and add an absolute boatload of features to the camera. 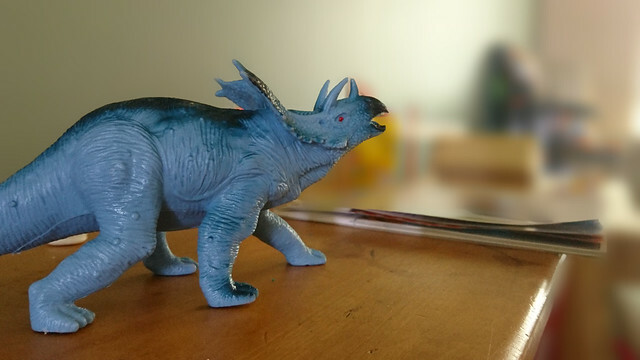 Everything from augmented reality dinosaurs and pets to defocusing the background, adding tons of selfie effects to turn yourself into a vampire, geisha or anything else you can think of are here. All these are tied to the Google Play Store too, which means easy app updates and great developer support, as well as options for paid and free add-ons. If there's one single thing that Sony got right with the camera on the Xperia X, it's speed. In fact this basically ties the Samsung Galaxy S7 in sheer launch and capture speed when you need it most. Holding down the shutter button with the screen on or off will launch the camera in under one second flat, and clicking that shutter button again will take the shot. If you want this to be even faster you can head down to settings and change the quick launch setting to either launch and capture, or launch and record. This will start the video or capture the photo from the screen being off to the camera doing its thing in nearly a second flat. It's insanely fast and it's powered by Sony's excellent hybrid auto focus mode that focuses in just over a half-second. This auto focus mode isn't always quite that fast though, and unless you've clicked on the screen or are using the shutter button to take a shot, you'll find that half-second focus time is much more like 2-3 seconds by the time the camera realizes it's supposed to refocus the shot. Thankfully the shutter button is here though, and holding it down just before the click will immediately lock the focus and exposure to where the camera is set, allowing you to immediately capture the moment when it's ready. This shutter button is beyond brilliant and makes the Xperia X feel much more like a camera than a phone, and reminds me how much I truly miss dedicated shutter buttons on smartphones. Touching the screen will activate the predictive autofocus too, as the phone will then draw a box around the target you pressed on and attempt to follow said target and keep it in focus. While all of this fancy stuff is nice and all, none of it matters if the pictures themselves don't look great, and to be pretty frank the shots from this camera really don't. As with the Xperia Z5 many shots are way over exposed, and exhibit tons of blown out highlights and objects that are overly bright. This is likely in an effort to pull out more shadow detail, as the dynamic range of this sensor is nothing short of terrible for a flagship device. I don't think I took a single picture where the sky wasn't almost completely blown out, even with HDR mode forced on. Unfortunately too the interface doesn't provide an easy or quick way to adjust the exposure levels, you need to go into settings and then another nested brightness menu to adjust these common settings. In addition to that I found that many times my shots would come out blurry, but not from focusing issues, rather from slower than necessary shutter speeds. These slow shutter speeds take in more light, but as we've seen from the shots they are too aggressive and both make the shots blurry and overexposed. There's no way to manually control shutter speed either even if you wanted to, so adjusting exposure is the only way, and this isn't always the best option for many reasons. In addition to these issues there's some weird processing going on that seems to have pretty random results. At 23-megapixels you'd expect to see craters on the moon from a good shot (alright that's a ridiculous exaggeration, but you get my point), but what you're likely going to find more often than not are over processed photos with lots of denoise and sharpening going on to compensate for that. Shoving so many pixels onto a tiny sensor means these pixels are also tiny themselves, so the software has to compensate for extra noise by trying to clean it up in post-processing. Sometimes I got better than expected levels of detail, like on the stigmas and anthers in the middle of a sunflower, or the fine veins running through the leaves of a bougainvillea. Sony's image processing is mediocre during the day for sure, and it's just as much of a random mess indoors and in lower light too. Some shots I took exhibited more detail than with other phones I tested against, showing finer lines of objects and sharper text in the distance than phones like the Nexus 6p, Galaxy S7 and HTC 10 to name a few. Other times it was either a blurry mess or just heavily over processed as discussed before. What's more bizarre is the relatively low ISO used by the phone despite what Sony has advertised. One of the big selling points Sony has been pointing out for this sensor is the maximum ISO of 12,800. While that would be great for extremely low light shots, I found even in pitch black conditions that the ISO wouldn't go higher than 1600 on any auto mode, and even switching to manual mode only let me select up to 3600. Where the rest went I have no idea, but it's sorely needed in some of these conditions. You'll also find exposure balance to be way off in any lower light condition, so if you've got a screen on or other light source while other objects are dark, expect those brighter objects to be completely blown out, HDR mode on or not. The front-facing camera was great more often than not. This was especially true when I used the dozens of different filters, AR effects and more to enhance the boring old selfie. In fact I found in general I had a much, much better experience with the camera, particularly the rear-facing one, when I used one of the many camera apps available through the camera software. These are a lot slower to take and will require more patience, but the ensuing photos are so much better than the vanilla camera software it's not even funny. Obviously you're not going to want to use these for every situation, as many of them are rather specific to one type of photography, but when you can use them you absolutely should. The shot at the top of this section was using the Background Defocus mode, which takes many seconds to process, but produces some absolutely stunning imagery. Video quality was definitely better, although it's not without problems too. Video stabilization has been one of the best parts of Sony's Xperia series cameras for a while now, and you'll find that it's just as excellent here. While it's not the very best in stabilized video, it's darn close, and offers good video quality because of this when moving. Video quality at 1080p 60FPS, which is the highest quality the Xperia X will record at, is phenomenal and exhibits fantastic levels of detail, a high bit rate for good motion resolution, and better dynamic range than the photo mode on the camera shows. At this framerate though the CPU simply cannot keep up, and I could never record longer than a 60 second clip without the phone displaying this lovely little message telling me the phone was too hot and would have to cool down before recording some more. This is just plain bad, but it's likely more down to a software problem than a hardware one, because I never saw this message for anything else on the phone, even when heavy gaming in VR. 1080p 30FPS video doesn't suffer from this silly cool down message, but it does suffer from a lower bit rate that tends to muddy out details, especially when moving. Lower light and night video seems to fare quite well though, and provides good lighting conditions with minimal processing compared to many other phones on the market. Since this phone doesn't support 4K recording it's quite surprising to see that it does support 720p 240FPS recording, and thankfully so. Slow motion video on the Xperia X is great, and Sony's excellent Timeshift interface is a good one, albeit a little hard to find unless you first go looking for it. Sony is betting quite a bit on the Xperia X by pricing it at $550. Audiophiles will likely jump at the opportunity to have a good device that'll output 24-bit high-res audio with all of Sony's bells and whistles, and lovers of Sony's design will likely be very happy too. It's certainly impressive how well the more mid-range Snapdragon 650 keeps up even with higher-end SoC's from fall 2015, and you'll find performance never drops no matter what you do, including VR. Even the screen is fantastic, something not always true of LCD displays on smartphones. The downsides here are going to be battery life, especially for people who heavily use their phones, a build that certainly doesn't feel metal even though it still feels solid, and some crazy problems with the touch experience. Let's not forget that the US model has no fingerprint scanner, which at $550 hinges on unforgivable in 2016. The camera is easily one of the fastest, if not the very fastest on the market, but the quality in the end is a bit hit or miss. Hopefully Sony can iron out some of the weird software issues we came across and maybe get that price down just a bit too, because while it may offer more functionality than a Nexus device, for instance, the end experience may not be what you're looking for depending on why you started looking in the first place.